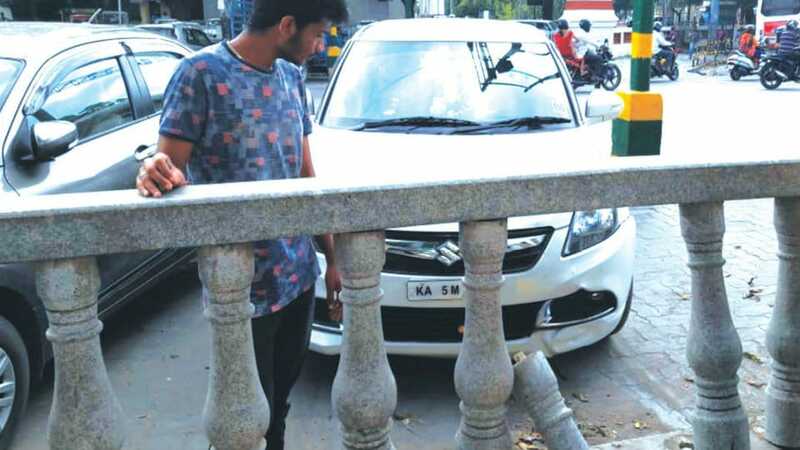 A Maruti Swift car reportedly rammed into the ornamental balustrades on Sayyaji Rao Road here this morning damaging a few balustrades. Devaraja Police, who arrived at the spot, have collected the photos and registration number of the car from eye witnesses to trace the owner of the car. Meanwhile, MCC staff, who also arrived at the spot, inspected the place to take future course of action on replacing the damaged balustrades. No complaint was registered when we went to press.